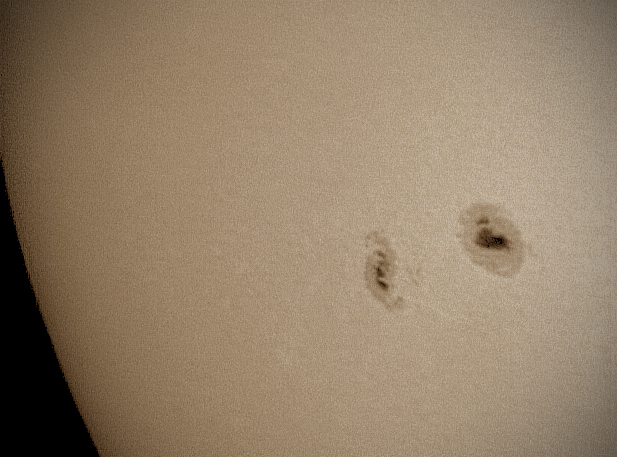 This image of the Sun was taken by Chris Newsome on the 19th July 2013.It shows sunspots 1793 (central) and 1799/1800 near to the limb. Note the lighter stripes around the 1799/1800 pair. Chris used a Canon 40D camera, 8" Meade LX90 (filtered), and a 1/8th second exposure at 100ASA. 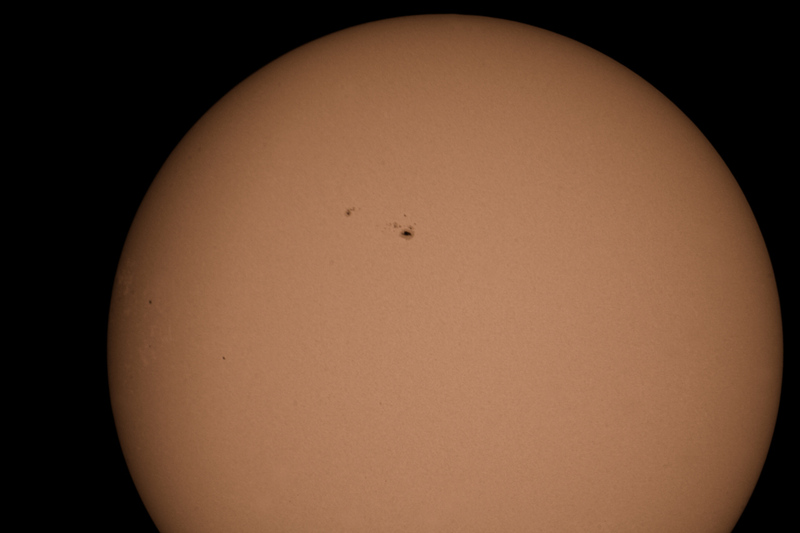 Chris Newsome took this image of the Sun on the 2nd May 2013. 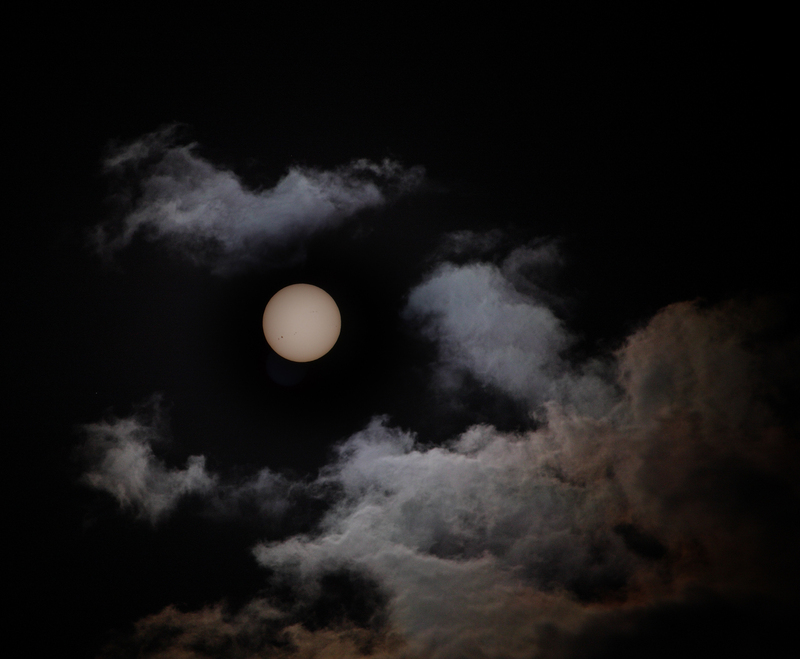 It is a composite of two frames taken in quick sucession (one for the clouds and one for the sun). The clouds were taken with a Canon 40D, 205mm lens, 100ASA 1/250th at f/7.1 and the superimposed sun was taken at f/22, 1/8000th second. Both images were taken using a 10 stop neutral density filter. Here is a close up of active region 1734 taken by Chris Newsome on the 2nd May 2013 using a Meade LPI camera on an 8-inch Meade LX90 SCT.